The center is also close to the newly opened Abbott Square Marketplace, downtown shopping and restaurants, and is only a short walk away from the city's bus depot and public transportation. Best of all, this space is within walking distance of gorgeous beaches and the Santa Cruz Beach Boardwalk. The locality's featured transportation services are also fantastically convenient and operate across extensive local road and rail networks. 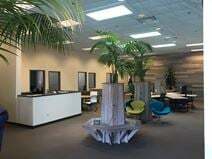 Partnerships with Santa Cruz community TV mean that these flexible offices and digital media studios are ideal for anyone working in the industry and are within walking distance of Santa Cruz beach and a range of lunch spots, hotels and boutique shopping opportunities. The area also boasts excellent and highly convenient transport links, connecting the center to the rest of the region via numerous road and rail networks.